Charli Bryan and Sam Siner, Housing and Food Service (DHFS), joined Gale Stuart, the Division’s Director of Assessment, in a presentation at the 15th Annual Texas A&M Assessment Conference. They presented the process and results of an evaluation of Bryan’s resident assistant (RA) retreat that took place during fall RA training. Sierra Castedo, The Center for Students in Recovery, earned a spot in Project LIFT, a leadership development program for young behavioral health professionals, funded by the Substance Abuse and Mental Health Services Administration. The Center for Students in Recovery received a shout out from UT System Chancellor William McRaven in his March 6 newsletter. Melanie Grice, Christina Bomar, Deni Zwiener, Courtney Howard, Christine Jenner, Claudia Ashlock, Sarah Downing, Leigh McKinnon, Sharon McMullen, Beverly Sutton, Lindsay Wilson and Darla Stewart, DHFS, were honored at a recent Women of Excellence Honorary Staff Banquet. Check out the photos. 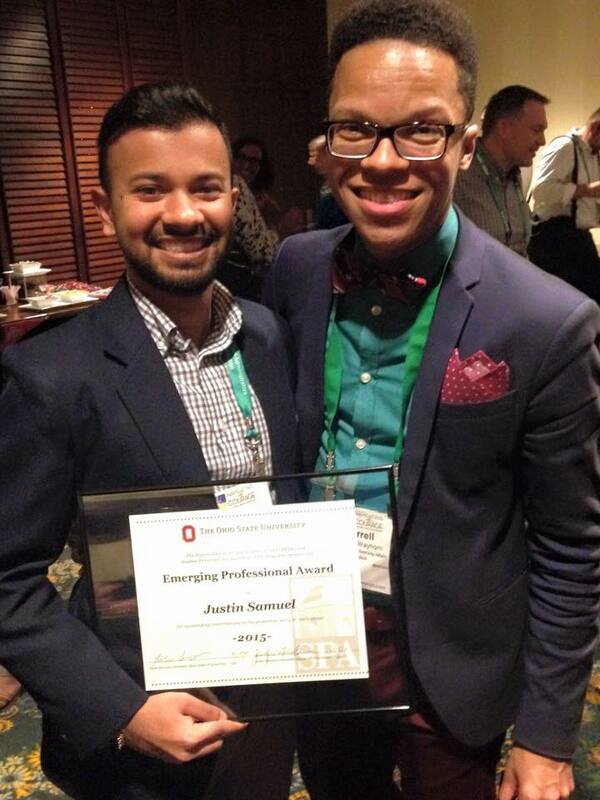 Justin Samuel, DHFS, was awarded the Ohio State Emerging Professional Award presented by the Ohio State University Higher Education and Student Affairs programs. Jennifer Walker, DHFS, was presented the Bob Cooke Distinguished Service Award at the Southwest Association of College and University Housing Officers (SWACUHO) conference for her dedicated service to the university and the students she serves daily. Doug Garrard, DoS: “BITs Big & Small: Differences in Behavioral Intervention at Small and Large Institutions” (with colleagues from LeGrange College and the National Behavioral Intervention Team Association). Aaron Voyles, DHFS: “Privilege and Advocacy: Examining the Role of the Men and Masculinities Movement in Student Affairs” (with colleagues from Georgia Southern University, University of Massachusetts Amherst and Appalachian State University). 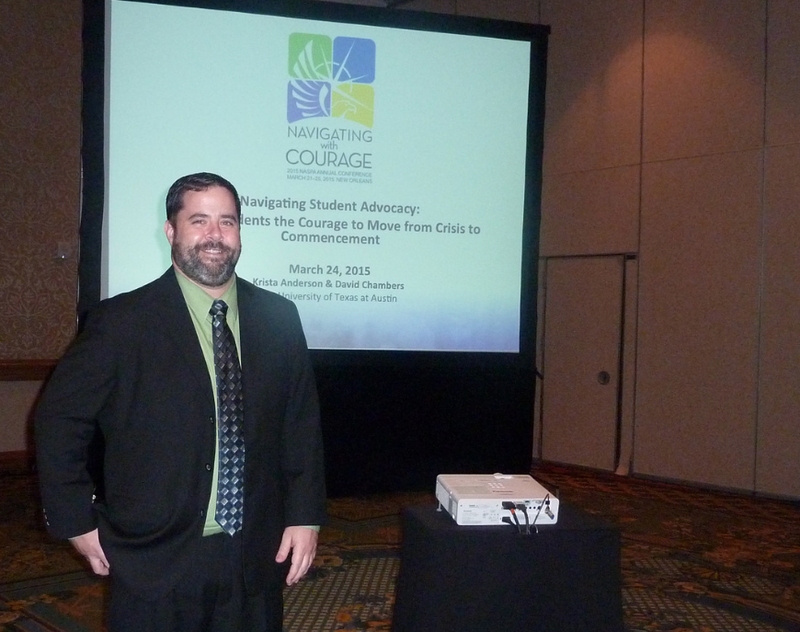 Voyles also presented “Courageous Mentorship: A New Lens for Creating and Sustaining Mentoring Programs” (with colleagues from Oregon State University, University of Massachusetts Amherst and Appalachian State University).